Our course provides thorough preparation not only for Advanced Nurse Practitioners (ANP), but also for Advanced Clinical Practitioners and health professionals who wish to work at a higher level of practice. Why Advanced Clinical Practice at LSBU? Our programme is accredited by the Royal College of Nursing (RCN). Successful PGDip students can undertake the top-up MSc Advanced Clinical Practice award by completing a dissertation. The structure for the course comprises of a prescribed sequence of six compulsory modules, the order depending on the start date (September or January) and the rate of progression. Each 20 credit module accounts for 200 hours of total student effort. This typically comprises of 36 – 42 classroom contact hours, 14 blended learning activity hours, practice based learning hours (equivalent to a minimum of 3 hours per week) and the remainder for self-directed study. The Complexity modules share a common learning framework and approach to assessment but the focus, content and assessment requirements are adapted for the context. This module develops key foundation knowledge to underpin subsequent applied pathophysiology and pharmacology educational input. This module can be taken in conjunction with, or following the Physiological Principles for Advanced Clinical Practice module. The PgDip ACP includes the requirement for students to be Independent Prescribers. This ensures that graduates from the programme will be able to fully meet patient's needs and service demands. Increasing numbers of applicants are already Independent Prescribers, having completed Non Medical Prescribing (NMP) courses at Level 6 or 7, and are using their prescribing rights on a daily basis. Such students will be able to accredit their prior learning to account for 20 credits within the PgDip ACP course. Students who are not Independent Prescribers will be required to undertake the NMP course, normally in January - July of their first year, when a separate occurrence of the NMP course is provided for all advanced practice students in the School. 20 credits of the Postgraduate Certificate Non Medical Prescribing will be used towards the PgDip ACP award. Current prescribing legislation enables Physiotherapists, Pharmacists, Chiropodists and Podiatrists to train to become Independent Prescribers. The case for extending these rights to Diagnostic Radiographers and Paramedics was debated in 2016 but rejected. It is anticipated that the case for Paramedics will be represented within the next couple of years. Therefore Paramedics will be able to enter the course and study for the other modules first and undertake the Non Medical Prescribing component when the legislation is amended to include this profession. In the event that this is delayed, the student will be able to take an alternative module "Professional Development through Contract Learning". This module allows students to investigate an area of their own choice, relevant to their field of professional practice. For this group, the focus will be on development of the knowledge and skills to make safe, appropriate, evidence-based prescribing decisions. The module is delivered in the form of a learning contract and is largely student managed with tutorial support. This will be provided by members of the Non Medical Prescribing team. This strategy will ensure that paramedic students will not be disadvantaged and can complete the PgDip ACP award within the maximum 5 year time frame. Students can undertake the Dissertation module (60 credits) to gain the MSc Advanced Clinical Practice award. Graduate and employer surveys and feedback indicate our graduates are making a positive impact on patient care and service innovation in general practices, walk-in centres, urgent care centres, minor injury units, emergency departments, projects for refugees, asylum seekers and homeless populations, elderly care facilities, “out of hours” developments, rapid response services, intermediate care teams, prison services, acute medical and surgical teams, critical-care outreach and specialist hospital services. Some of our graduates are now lead nurses within social enterprises, nurse partners in general practices, nurse representatives on commissioning boards, community matrons and consultant nurses. Our first Paramedic student successfully gained his PgDip Advanced Clinical Practice in February 2018 and is now employed as an Advanced Clinical Practitioner in an Emergency Department in South London. 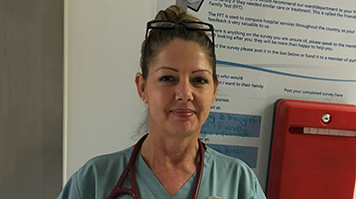 While not all of the students undertaking this course will be nurses, other health professionals will benefit from the rigorous standards set by the RCN. Their standards are currently the only quality marker for Advanced Practitioner preparation in England. RCN Accreditation indicates that this course has been evaluated against 15 standards and associated criteria for educational preparation and judged to prepare practitioners to an advanced level (RCN, 2012). Further, in accordance with the RCN endorsement (2012), the course has also been designed to comply with the Department of Health (England) (2010) position statement on Advanced Level Nursing. Professor Alison Leary (Chair of Healthcare and Workforce Modelling) has provided master-classes to enable students, as trainee advanced practitioners, to demonstrate their current and future value and return on investment. Doctor Julian Barratt (Advanced Nurse Practitioner/Senior Lecturer Adult Nursing, University of Wolverhampton) presented the conclusions from his PhD study “Collaborative communication in nurse practitioner consultations: implications for practice” in September 2016 to the continuing students. Students will spend the equivalent of 3 hours per week working in a "supernumerary capacity" in order to focus specifically on their clinical and professional development. This requirement extends beyond the University semesters to include the summer periods. A doctor/qualified Advanced Practitioner will act as your "Practice Facilitator" to supervise and support your clinical development. Other experienced senior clinicians can also supervise and support student development. A range of assessment strategies will be used to reflect the academic, clinical and professional aspects of the programme. This includes use of exams, a written case study, an essay, completion of a Practice Based Learning record including Practice Facilitator feedback and evaluation of practice, OSCEs (Objective Structured Clinical Examination) and production of a clinical portfolio including patient feedback. 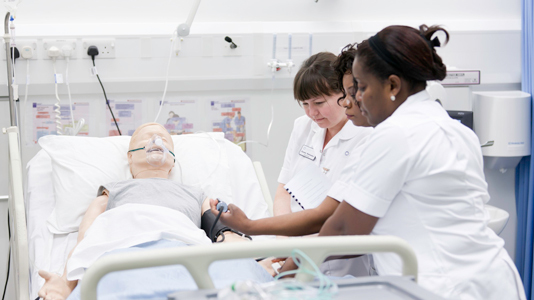 There are a range of facilities to support teaching practice skills and simulation. These include the skills laboratories, clinical and simulation equipment, themed notice boards, resources, anatomical models and the media/skills technicians who maintain the labs and prepare for sessions. Students are supported by a Virtual Learning Environment (VLE) using “Moodle”. Open access computers are provided in the Library and Learning Resource Centre on our Southwark campus. E-learning will complement face-to-face delivery for all modules within the course, with 14 specific hours assigned to blended learning activities in each timetable. A four day workshop will be provided mid-way through the course, giving the opportunity for students to practise, consolidate and develop their new skills in a supervised, supportive environment. Normally applicants will have a Health-related honours degree (or international equivalent), with a classification of 2.2 or above, however applications from clinically experienced, senior level health professionals with evidence of a minimum of 90 undergraduate degree level credits (at least 15 credits of which has been completed within the past 2 years) will also be considered. Employed for a minimum of 25 hours per week in a relevant clinical environment, with access to appropriate clinical support and supervision for the development of knowledge and skills to an advanced level. Advanced level clinical practice is by its very nature challenging and demanding. It is therefore important that appropriate candidates are selected who have the determination, professional attitudes and calibre that is needed for academic success and maximum impact in practice. Application form with personal statement. Submission of a 1,000 word referenced essay, which critically analyses the potential for development of ANPs within their clinical practice, with reference to relevant advanced practice literature. A letter from the clinical lead expressing their support for the course AND development of the individuals practice to an advanced level. A supportive reference from the students current clinical lead. The contents of the Clinical Practice Learning Environment profile which evaluates the students work environment (and other clinical opportunities) for meeting the learning requirements for the course. Provision of a completed Practice Facilitators nomination and acceptance form. Suitable candidates will be invited for an interview to assess interpersonal skills and professional awareness, particularly in relation to the potential benefits offered by the course for personal and professional development and to the patient care provided on an individual and organisational basis. This is considered on an individual basis at interview, in accordance with the University academic regulations. Credit awarded by another Higher Education Provider may under certain circumstances contribute to the credit required for a London South Bank University award. For credit to be transferred, the learning must be relevant to the course for which the claim for credit is being made. The learning must also have been at a comparable academic level and must have been assessed. The amount of credit transferred must be equal to or less than the amount of credit awarded by the Provider at which the learning took place. At least half of the credit required for an award of the University must normally be accumulated as a result of learning assessed at London South Bank University. The University also has a process for accreditation of prior experiential learning, with the details and submission requirements for each claim considered individually. Clinical Assessment Skills for Advanced Practice. The core text for the course is: Bickley, L. and Szilagyi, P. (2016), Bates’ Guide to Physical Examination and History taking. 12th ed. London: Wolters Kluwer.